My eight week evening course about the life and legacy of King Richard III is open for enrollment at the University of Toronto, School of Continuing Studies. All are welcome. Click here for more information and to register. The discovery in 2012 of the remains of Richard III underneath a parking lot in Leicester revived a centuries-old debate. Is he one of history’s greatest villains or the victim of Tudor propaganda? We will look at the bloody upheaval of the Wars of the Roses, including the famous disappearance of his nephews, the young Princes in the Tower. Was Richard the scheming villain of Shakespeare’s play or the misunderstood king who is the hero of modern novels by writers like Josephine Tey and Philippa Gregory? Join us to study a fascinating example of what may happen to leaders’ reputations once they’re dead. Registration information is available here from the University of Toronto, School of Continuing Studies. I am excited to announce that my 3rd book, Raising Royalty: 1000 Years of Royal Parenting will be published by Dundurn Press on April 8, 2017. The book examines How twenty-five sets of royal parents raised their children over the past thousand years, from keeping the Vikings at bay to fending off paparazzi. 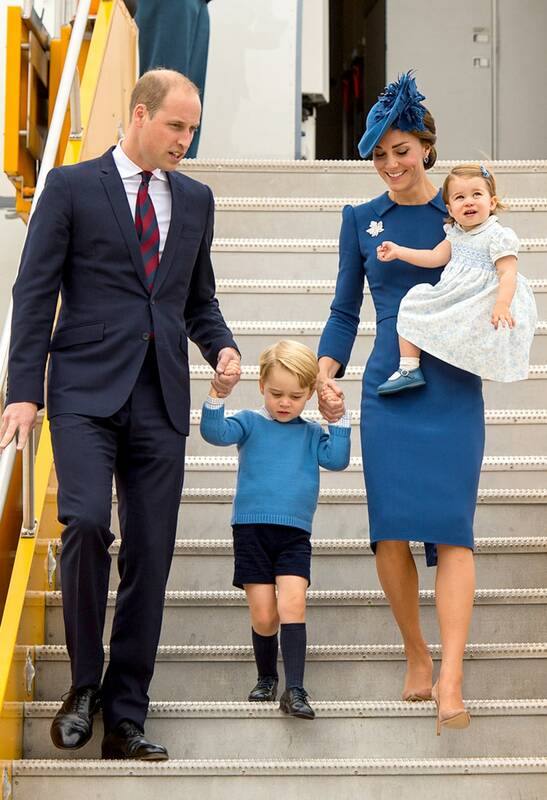 William and Kate, the Duke and Duchess of Cambridge, are setting trends for millions of parents around the world. The upbringing of their two children, Prince George and Princess Charlotte, is the focus of intense popular scrutiny. 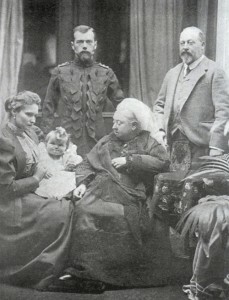 Royalty have always raised their children in the public eye and attracted praise or criticism according to parenting standards of their day. Royal parents have always faced unique privileges and challenges. In medieval times, raising an heir often meant raising a rival, and monarchs sometimes faced their grown children on the battlefield. Kings and queens who lost their thrones through wars or popular revolutions found solace in time spent with their children. 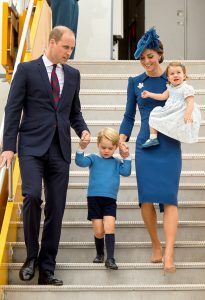 In modern times, royal duties and overseas tours have often separated young princes and princesses from their parents, a circumstance that is slowly changing with the current generation of royalty. The book is currently available for pre-order from Indigo, Amazon and other booksellers. My interview with the Toronto Star “King John known for murder and Magna Carta” discussed the notorious King and how his reputation has gone from bad to worse during the centuries following his death. I compare and contrast King John to Richard III, another controversial English king. While there is a debate about whether Richard III was unfairly maligned by Tudor historians, John is consistently presented as a villain in both the history books and popular culture. Richard III will be reburied in Leicester Cathedral on March 26, after months of debate concerning both his final resting place and the plans for the ceremony. 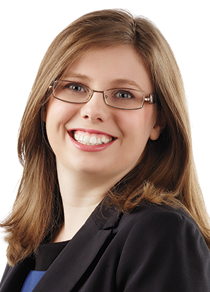 On the CTV news channel, I discussed Richard III’s contentious reputation from Shakespeare to modern times, the controversy surrounding the funeral plans and what Richard III himself might have thought of the arrangements. Click here to watch the interview, “Reburial of an English King” on the CTV news channel. Edward II and Richard III, who will be laid to rest in Leicester Cathedral on March 26, have made a similar journey through popular culture. In both cases, the story of a flawed monarch who lost his throne to an invading force inspired an Elizabethan playwright. Both Richard III by William Shakespeare and Edward II by Christopher Marlowe created a received wisdom about their title characters that was accepted by the public for centuries. Shakespeare’s Richard III was a hunchbacked villain who ruthlessly eliminated his family members and died offering his kingdom for a horse. Marlowe’s Edward II was foolish, dominated by his male “minions,” and met a gruesome end by being disemboweled with a red hot poker. 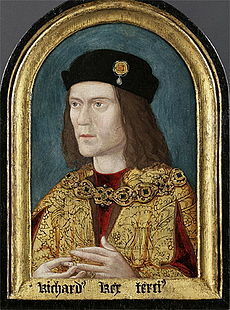 In the 20th century, popular perceptions of Richard III and Edward II diverged. The founding of the Richard III society in 1924 began the process of reevaluating Richard III’s reputation and Shakespeare’s portrayal has been thoroughly critiqued. The discovery of Richard III’s remains revived popular interest in the king’s reputation and there is now a range of more sympathetic portrayals of Richard in historical fiction and popular biography alike. In contrast, Marlowe’s portrayal of Edward II has become even more accepted and entrenched in popular culture. For example, the 1995 Oscar winning film Braveheart , portrayed the future Edward II as frivolous, focused entirely on his male favourites and easily cuckolded by his estranged wife. In the foreward to Kathryn Warner’s book, Edward II: The Unconventional King , historian Ian Mortimer observes that there is an “Edward II routine” accepted by the public and numerous historians. Warner, one of the foremost experts on Edward II, scrutinizes the accepted narrative of Edward II’s life and death, finding the complex historical figure behind the Elizabethan legend. Warner demonstrates that while Edward II rarely an effective monarch, especially compared to his father, Edward I, and son, Edward III, he was a much more complicated figure than his depiction in popular culture. The strongest sections of the book are Warner’s thoughtful revaluation of Edward II’s marriage to Isabelle of France. The match began badly with Edward ignoring his 12 year old wife to socialize with his favourite, Piers Gaveston, during the wedding celebrations, and ended badly with Isabelle overthrowing her husband with the help of her own favourite, Roger Mortimer. During the intervening years, however, Warner reveals an effective working relationship between the king and queen with evidence that they cared for each others’ welfare. 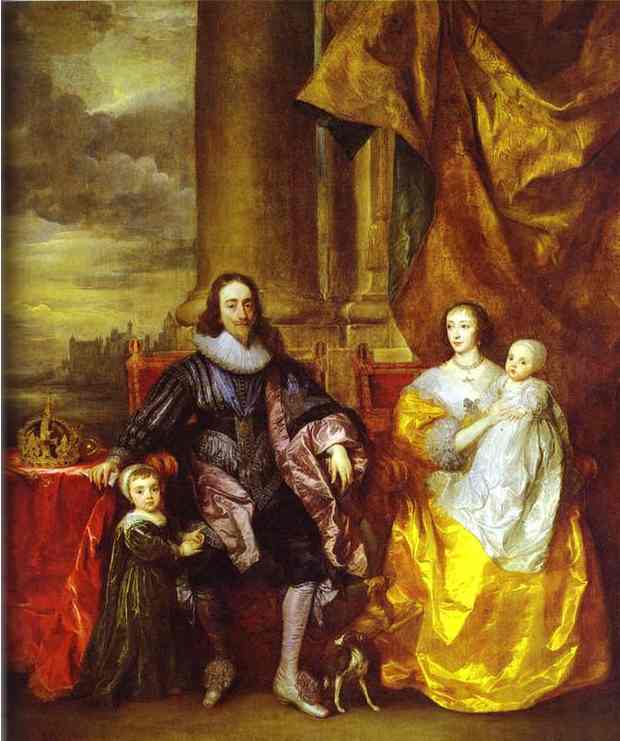 The existence of four children, all of whom were clearly fathered by Edward, is clear evidence that the royal couple were not estranged for their entire marriage as they are in Marlowe’s play. I was not convinced by the final chapter of Edward II: The Unconventional King on Edward II’s possible life in exile after his presumed death in 1327. While accounts of Edward II’s death by red hot poker are as fictionalized as Richard III offering his kingdom for a horse at the Battle of Bosworth field, the possibility that Edward II managed to fake his own death and live out his life in obscurity seems unlikely. Edward II did not simply disappear in the manner of Richard III’s nephews, the Princes in the Tower, but had a funeral in Gloucester Abbey attended by dozens of people close to him. The existence of circumstantial evidence for Edward II’s survival, however, reveals that there remain unanswered questions about this controversial king. Like Richard III, Edward II continues to be a historical enigma with a contested reputation.